So ohiophotogrl was telling me about a project she started last year. She sends a letter to someone every month. It can be a bday card a just thinking of you card or a giggle card. What’s a giggle card you ask…..well most of the time she sends a card it is one she has made. A giggle card is one she found somewhere and it says something at that person will think is funny. She cracks me up! So I get to put the stamp on the envelope! This entry was tagged 365, blog, kid friendly, laugh, Mr. 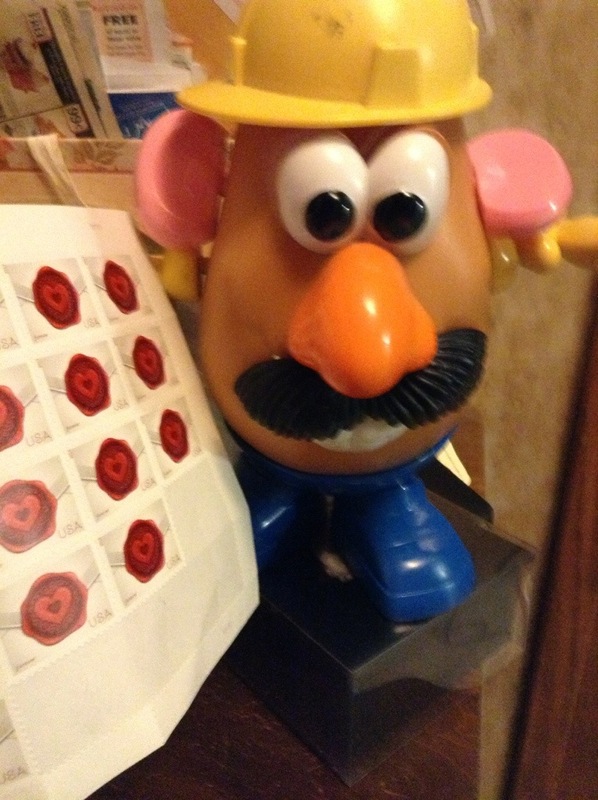 Potato Head, muse, picture a day, stamps. Bookmark the permalink.